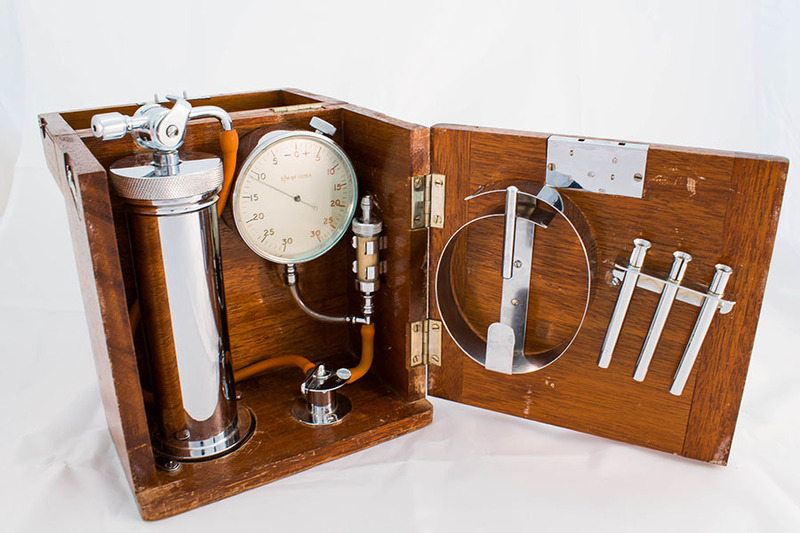 An Artificial Pneumothorax would have been used as a method of treating Tuberculosis. This condition is caused by the bacterium Myobacterium Tuberculosis, targetting the lungs of the body. Before a TB vaccination was in place, "Collapse Therapy" was used to treat patients with the condition. This therapy aimed to induce a pneumothorax, (collapsed lung), in order to give the lungs some rest. 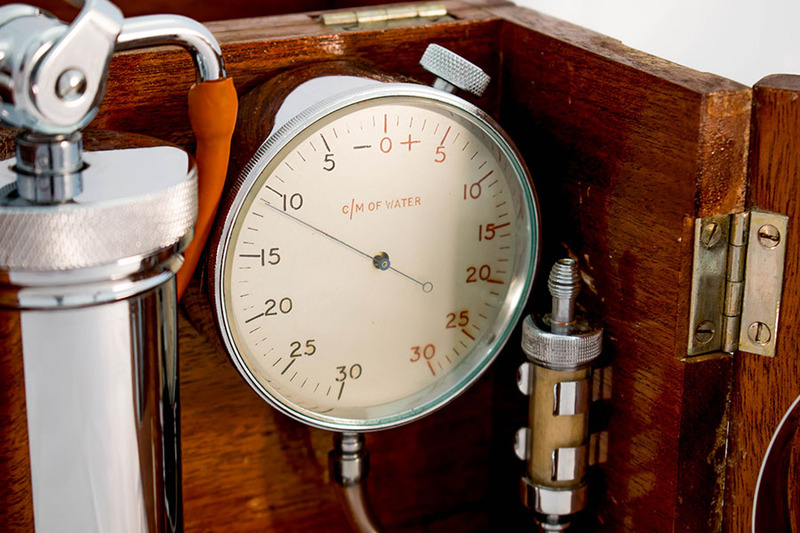 The artificial pneumothorax instrument enabled the physician to pump air into the serous lining of the lungs, increasing the pressure, and resulting in a compression of the lungs. This technique was phased out after the development of the antibiotic streptomycin. 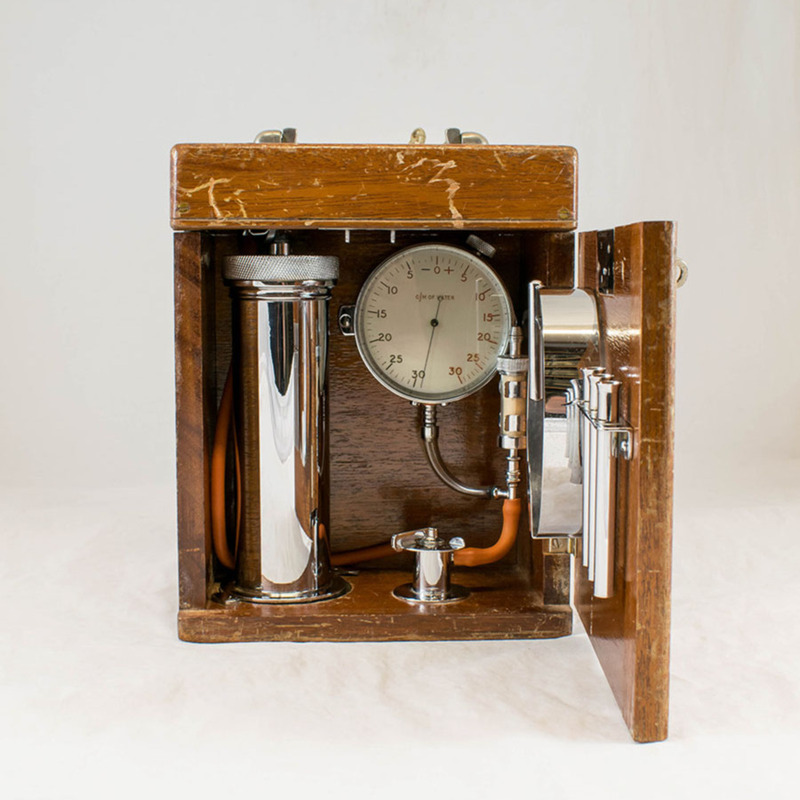 “Artificial Pneumothorax,” Heritage, accessed April 23, 2019, https://heritage.rcpsg.ac.uk/items/show/39. Description: Wooden box containing metal pump, regulating valve, aneroid manometer and filter. 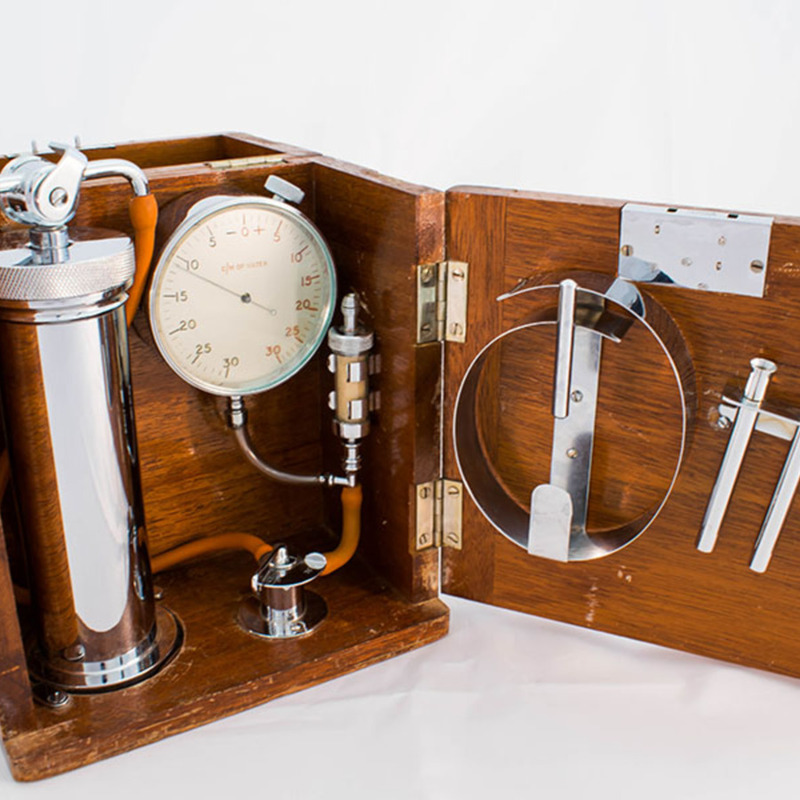 An Artificial Pneumothorax would have been used as a method of treating Tuberculosis. This condition is caused by the bacterium Myobacterium Tuberculosis, targetting the lungs of the body. Before a TB vaccination was in place, "Collapse Therapy" was used to treat patients with the condition. This therapy aimed to induce a pneumothorax, (collapsed lung), in order to give the lungs some rest. 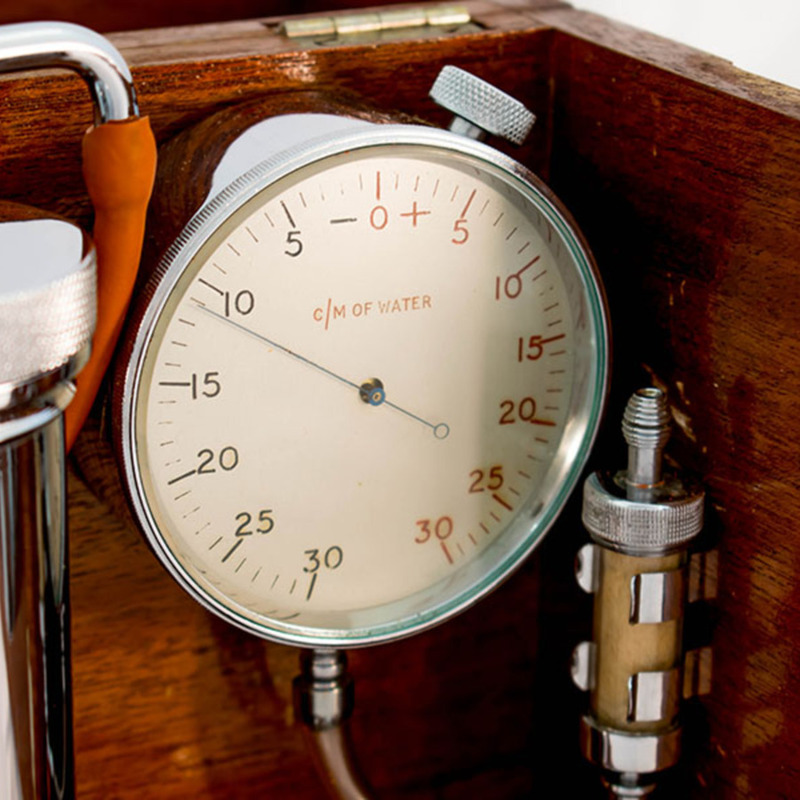 The artificial pneumothorax instrument enabled the physician to pump air into the serous lining of the lungs, increasing the pressure, and resulting in a compression of the lungs. This technique was phased out after the development of the antibiotic streptomycin.